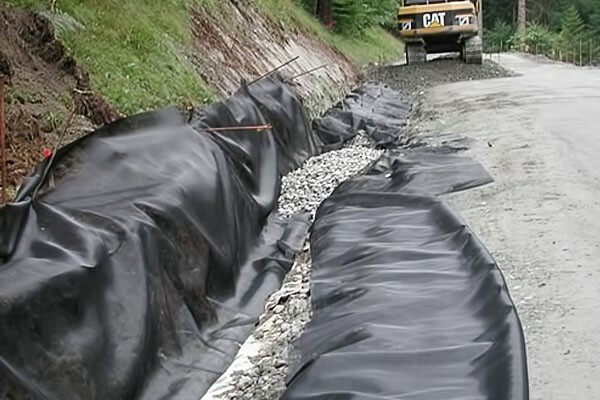 TCS Highflow woven geotextile are applied in situations where high permeability for effective drainage is required whilst maintaining separation and filtration. As a filter wrap to granular drainage trenches and blankets. 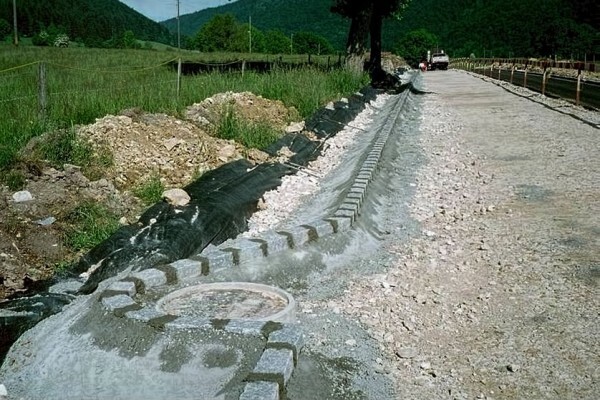 As an erosion control layer under rock armour or concrete revetments in river & coastal defence systems. 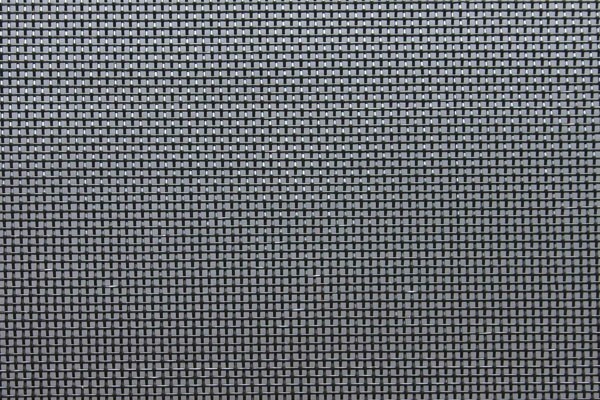 As a filter layer in the construction of artificial sports surfaces and all weather horse riding arenas. HF geotextile properties that ensure long term efficiency and performance by resisting damage during installation and helping to prevent clogging thereby facilitating high permeability.